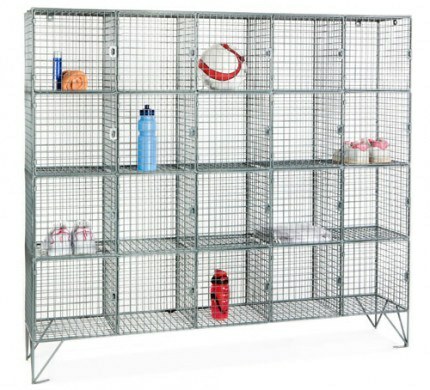 This Wire Mesh 20 Door 1360x1525x457mm Locker for twenty users, manufactured in the UK in 8mm Bright Zinc Plated Steel has great benefits with security due to the high visibility of the contents and where damp or wet clothing has to be stored the high ventilation aids drying. 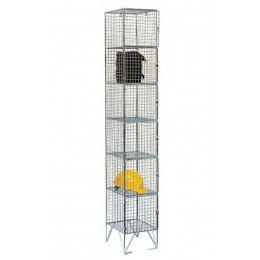 This Large Capacity Wire Mesh Locker has 20 compartments in a Nest of 5 lockers with a total dimension of 1360H x 1525W x 457D mm - other configurations or sizes available on request. 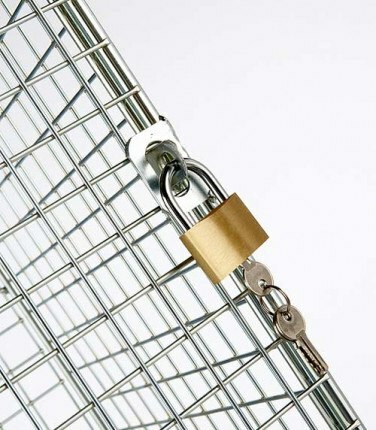 British Made 8mm Bright Zinc Plated Wire Mesh 20 Door 1360x1525x457mm Locker for twenty users has great benefits with security due to the high visibility of the contents and where damp or wet clothing has to be stored due to the high ventilation aids drying. 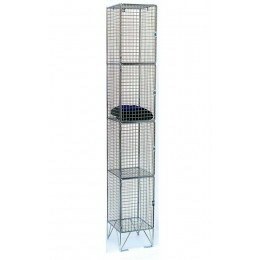 These wire mesh lockers can be fixed to a wall, floor or back-to-back with floor fixing brackets provided.and is raised off the floor with 4 short legs for easy cleaning. 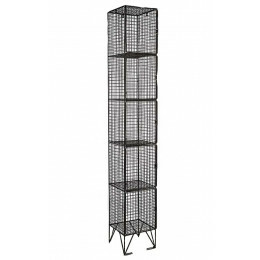 Being constructed from wire mesh clothing will dry naturally if the lockers are installed in a warm locker room. 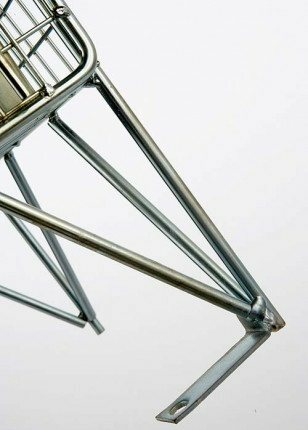 The bright zinc plated finish resists corrosion from humid or damp conditions. 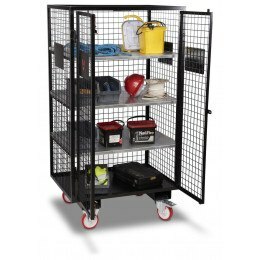 Being wire mesh the locker offers full visibility of the contents, which improves security. Each Locker door is fitted with a hasp and staple to be locked with a padlock.